Banking online offers many helpful benefits, making it easier than ever to keep track of your money and stay in control of your financial future. Using your computer or phone, you can instantly view your current balance and recent transactions, pay bills or send money, and transfer funds between accounts. Rather than waiting in line at a bank, you can take care of business all on your own with a few simple clicks. One of the biggest perks to choosing an online bank is quick, easy access to your accounts, allowing you to stay on top of your monthly budget and bills. Paying bills online is a great way to ensure your accounts are up to date, with trackable payment confirmation numbers avoiding any worries of your check or cash getting lost in the mail. Save a stamp and a trip to the post office by instantly sending money to those you owe. Did your last paycheck go through? What is your current checking balance? With online banking, you can know exactly how much money you have in the bank at all times, without having to visit a physical location. 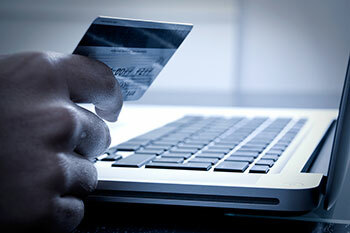 Access your account 24/7 to double check your spending power, and make sure there are not any suspicious transactions. If you ever see a payment you did not authorize, you can call your provider to address the issue right away. For many online-only banks, you can receive excellent service and perks with fewer maintenance fees. Since these banks have lower overhead, they can often offer higher interest rates and a wealth of financial products, such as CDs, money market, and high-interest savings accounts. Some folks talk about credit cards like they’re dangerous and lead to excessive debt, but there are plenty of great reasons to use a credit card as a form of payment. Credit cards offer several perks such as airline miles, sign on bonuses, and earnable rewards, all while building your credit history. Using a credit card for your daily purchases can be an excellent way to build up your credit history. When you pay your credit card bills on time, you prove to lenders that you are reliable. Staying within your credit limit and paying off statements completely each month will boost your credit score and can help you receive future car loans, mortgages, and more. Many credit cards offer buyers a variety of enticing rewards and sign-on bonuses. Most operate on a point-based earning system, with dollars spent earning a certain amount of points. You can earn airline miles, retail gift cards, hotel stays, and more, depending on which card you choose. Depending on how frequently you use your card, these rewards can add up to give you enjoyable perks for money you’re spending anyway. Some cards even offer a cash back system, with points transforming into actual cash. Staying up to date with your credit score helps you know where you stand in terms of your creditworthiness, so when you apply for a loan or credit card, you have an educated idea of whether you'll be approved. Additionally, the United States Federal Trade Commission suggests checking your credit report yearly to make sure your information is accurate. Learn more about the three ways to get a free credit score below! The Fair Credit Report Act entitles you to at least one credit report every year from all of the three main credit bureaus: TransUnion, Experian, and Equifax. 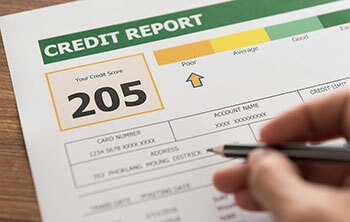 To check your credit score, as well as your full credit report, you can order yours online from annualcreditreport.com — which is the only website authorized to provide a free report. You can order online or by phone. To keep track of your creditworthiness, it's a smart idea to order once every four months from each of the three bureaus — one in January from TransUnion, one in May from Equifax, and one in September from Experian. Some credit card companies offer a free monthly credit score or a credit report copy, such as Discover, Bank of America, American Express, and more. 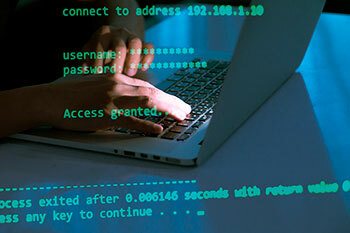 If you check your credit card account online, you may be able to keep track of your score right from the dashboard. While these free monthly credit scores aren't FICO scores, they can help you gauge your credit status and keep an eye out for strange increases or decreases. CreditKarma and Credit Sesame, for example, gives you an idea of what your credit score may be using VantageScore — a consumer credit-scoring model. These monitoring services are free and can help you make better financial choices based on the information provided. You can also download the apps for your smartphone and request free email alerts from CreditKarma with your TransUnion information. Can I Pay My Credit Card with Another Credit Card? Usually, no — at least not directly. Most credit card companies won't allow you to punch in the numbers for another credit card to pay your bill. The main reason why it's typically not an option is that the processing fees are too high for the company. However, if the due date on your credit card bill is fast-approaching and you don't have the cash, you can find another way to use a second credit card or try another approach. If you have a second credit card, you can take a cash advance against it to pay off the first credit card, or at least pay the monthly bill. You can then deposit the cash into your bank account and make your payment. However, there is a drawback to cash advances: the fees. It's not uncommon for a fee to be 5 percent or $10 — whichever is higher. There are also limits to how much you can get. Usually, the limit is lower than a credit limit, so if you're in considerable debt, a cash advance likely won't cover it. Do you have several lines of credit that you're struggling to keep current every month? If so, consider credit card debt consolidation. For example, taking out a personal loan can help you manage your debts and reduce your monthly payments to one credit bill — that is, your loan repayment. This is a great option, as long as you make your payments on time and can snag a loan with reasonable rates and terms. If you've found yourself in this position before, it's probably a good time to ask yourself, "Why am I overspending and on what?" Review your credit card purchase history and figure out why you're overspending in the first place. Create a monthly budget for yourself and avoid wasting money or credit on purchases that aren't necessary. You can also speak with a credit counselor if you're unsure about your next steps. Make sure the agency you contact is accredited by the National Foundation for Credit Counseling. If you're like most people, you've probably asked yourself, "How much cash should I keep in the bank?" There's no right or wrong answer, but there are general guidelines you can follow to maximize your savings and avoid wasting money. Everyone has a different savings formula. However, overcomplicating how you look at your own money can cause you to stress over every dollar spent. Read on to learn more about how you can structure your checking and savings accounts for success. 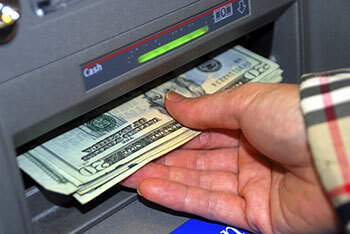 If possible, store at least one month's take-home pay in your checking account. This gives you a buffer without putting you at risk for living paycheck-to-paycheck or hoarding all of your extra money — only to overspend later. Saving the equivalent of your monthly take-home gives you peace of mind for 30 days should you paycheck get lost in the mail or another extenuating circumstance arises. Additionally, it reduces the worry of overdrawing your account or feeling unprepared to deal with emergency situations. While it may seem like keeping a large cushion of funds is smarter, the truth is: mixing your checking and savings money can trick you into thinking you have more money available. If you keep a smaller but adequate amount in your checking, you'll be less likely to splurge on that new TV or designer jacket because the money's sitting in your account. When it comes to long-term savings, it's generally a good idea to open high-yield savings account that's separate from your checking account. You can even open your savings account with a different bank. 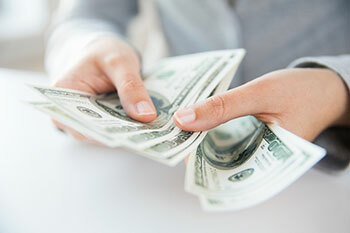 Funnel any additional funds into your savings account, and, if you want extra security, keep a small portion of it connected to your main checking account so you can do an instant transfer if necessary. For the rest of your savings, it's best to set them apart from your monthly expenses. And if you have to wait a few days for the money to transfer into your main account, you'll be less likely to waste it. What's the difference between credit cards and debit cards? Chances are you have at least one of the two in your wallet. Which is better? Both have their benefits and potential drawbacks, depending on your financial situation, spending habits, and credit history. 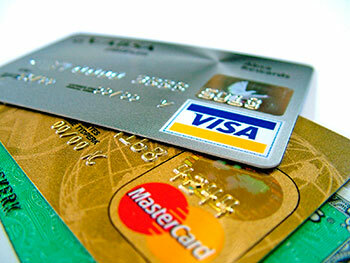 Learn the basics of credit vs. debit cards below. 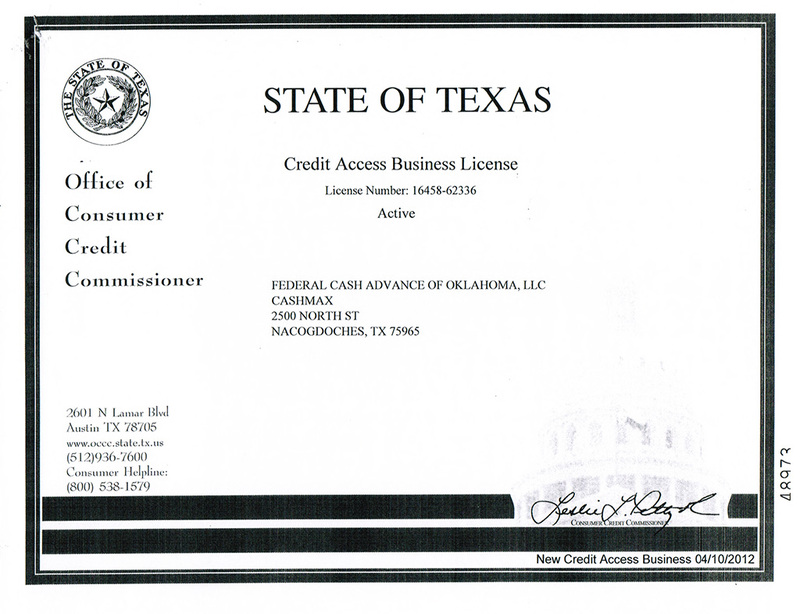 Standard Card — provides a line of credit. Rewards Card — offers perks like travel points and cash back. Secured Card — can't be used without a cash deposit as collateral. Charge Card — doesn't come with a spending limit, but typically doesn't allow unpaid balances to carry over. 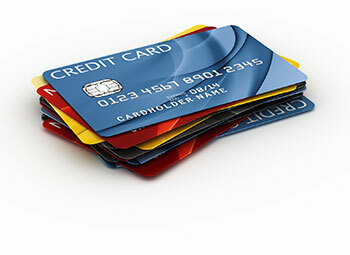 Credit card usage also impacts your credit report and credit score. Your credit report provides lenders with a window into your financial history, while your credit score summarizes your creditworthiness. Using credit cards responsibly can significantly raise your credit score and improve your chances of getting approved for personal loans, low auto financing rates, and more. On the other hand, failing to repay your credit card bills can send your credit score into a downward spiral. None of this is true for a debit card. 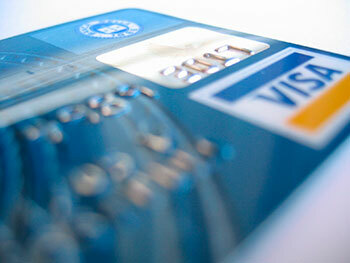 Also, credit cards offer greater protection for cardholders than debit cards. The minimum user liability for purchases made with a stolen credit card is $50 if the theft is reported within a reasonable amount of time. According to the Electronic Funds Transfer Act, debit card users can receive similar protection if the incident is reported within two days. After 60 days, however, there's no liability limit. Additionally, credit card users can dispute transactions they didn't authorize or if items they ordered online arrived damaged, usually resulting in an immediate deduction. Debit card holders can dispute a charge, but an investigation must be conducted before a refund is issued. Just how much of your money should you put into each of these investments? It's important to think practically. We like to use a tiered approach with financial planning. Your first tier of savings is your rainy day fund. This pool of money is used as a safeguard against any emergencies you encounter, like medical issues or auto troubles. Your second tier is your stocks and bonds. Many financial advisors recommend using a simple calculation to estimate how much to allot to each category. Subtract your age from 100 to get a rough guide of how much to invest in stocks. For example, a 25 year old will put 75 percent of assets in stocks and 25 percent in bonds. If you want to try diversifying investments, then you'll play with these figures even more. Try investing 10 percent of your stock portfolio in international investments or 5 percent in real estate. You'll end up with a well-rounded list of investments. If you're trying to become debt-free, you need to have a plan to move forward - and learning debt management is the way to do it. What is debt management? It is a customized system that you create to live within your means and slowly emerge from debt. Because the causes of debt are different for everyone, your management system will also be personalized to your specific needs. This guide will break down how to identify your unique needs and how to create a sensible debt management plan that will carry you into the future. Let's get started! Can Debt Management Help Me? This debt management plan is best for those who have "unsecured debt". Unsecured debt includes things like credit card debt, bank overdrafts, and personal loans. If your debt is caused by mortgages or rent, this is considered "secured debt." Secured debts are a little trickier, and you may want to consult a financial advisor instead. Why Do I Need Debt Management Skills? It's easy to spiral into debt, but it's a lot more difficult to climb out of it. That's why it's crucial to come up with a strategy to move forward, rather than hoping things will simply get better with time. Not only does extended debt reflect poorly on your credit history, but it can also affect your ability to secure loans and mortgages down the line. Not to mention, interest accumulates and puts you in an even deeper financial hole. The best time to work on your debt is the present! 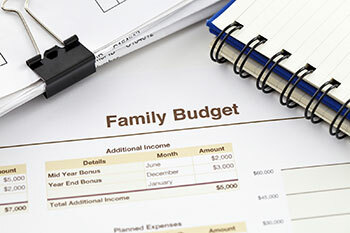 How Do I Make a DIY Debt Management Plan?